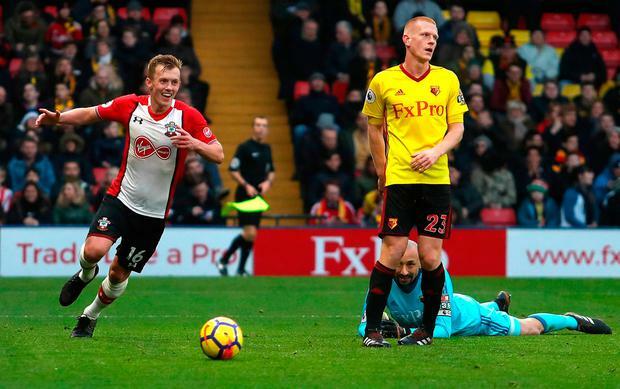 Troy Deeney admitted Watford's controversial equaliser against Southampton would not have stood if a Video Assistant Referee (VAR) had been in attendance. 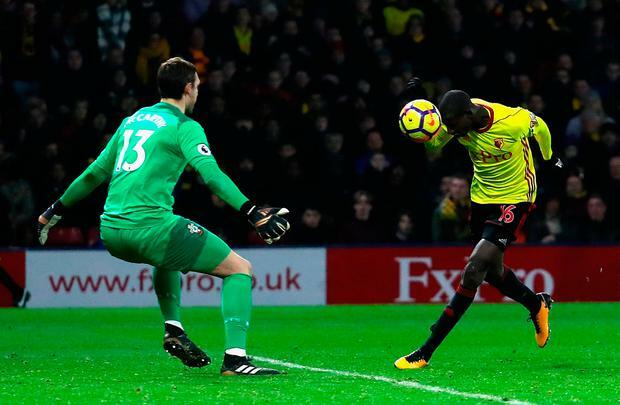 Abdoulaye Doucoure secured a draw for the Hornets with a blatant handball in the final minute. The French midfielder stooped to nod Deeney's header back across goal into the net - but the ball missed his head and he swept it home with his hand. BBC pundit Martin Keown said Doucoure had "done a Maradona", and even Watford skipper Deeney admitted his side were fortunate. The new VAR system has had a fairly gentle introduction in the past week, but it would have been the centre of attention at Vicarage Road. "If VAR had come in we probably wouldn't get that but today we got it. It's the luck of the draw," said Deeney. Yet how referee Roger East and linesman Derek Eaton missed Doucoure's sucker punch was a mystery. Saints manager Mauricio Pellegrino was remarkably restrained given the decision had cost his side a first Premier League win in 10 matches. "My feeling is like the players, we are a little bit sad," he said. "It's clear (handball) . . . I imagine the referee is not happy now." A sheepish Marco Silva, the Watford boss, admitted: "I don't need to talk about the goal. I think everybody can see. It's something that can happen." 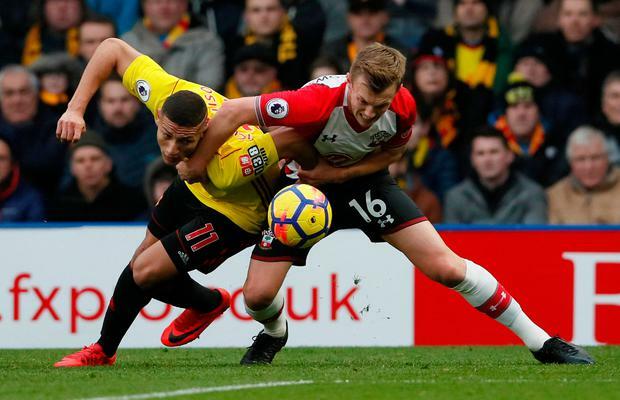 Southampton were on the verge of a much-needed win after a first-half brace from James Ward-Prowse courtesy of two fine assists Shane Long. Andre Gray pulled one back before the hour when he bundled home. "I think we deserved the result," added Silva.